So I thought I'd try this thing where I review a comic that's actually currently available once in a while, and try to stick to things I either want to recommend, because they are very good, or ones that are so bad I can rant entertainingly about. Bandette would fall into the first category. 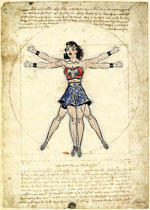 Colleen Coover is awesometarts and always has been. Paul Tobin I'm still not sure about. The only thing of his I've read before is Gingerbread Girl (also drawn by Colleen Coover), and I was a bit nonplussed by the weird narrative device. I'll give it another try some time. 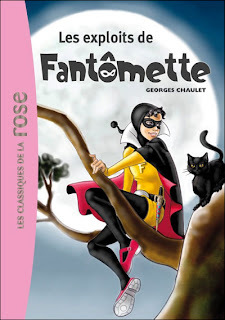 Bandette is, I'm fairly sure, inspired by the French series of novels and comics Fantômette, which in turn was (I think) inspired by the novel Fantômas. How much more there is to it, I don't know, as Fantomette doesn't seem to have ever been translated into English. Which is a sad thing, as it looks like heaps of fun. Issue #1 of Bandette sees our heroine breaking into a mansion. But things don't go to plan and a chase ensues. The art is expressive, in Coover's light cartoony style, supported by detailed, if slightly impressionistic backgrounds. In every panel. 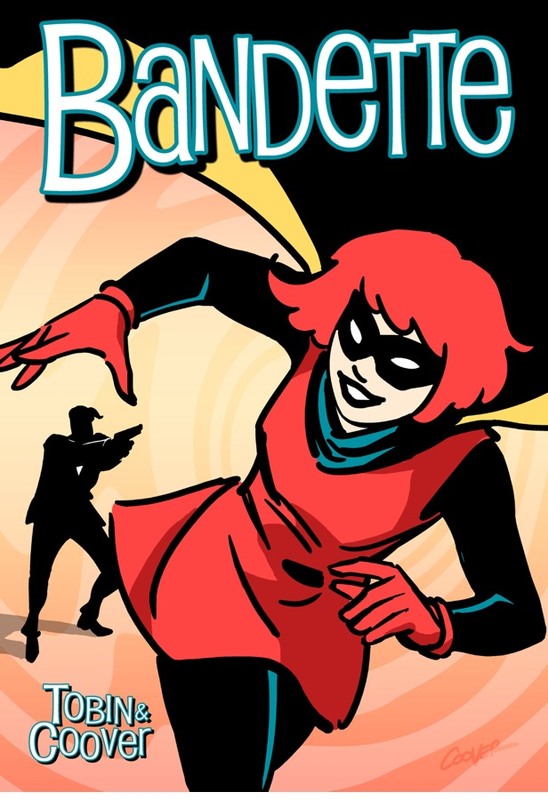 Tobin's script compliments the art, such that within a few pages you get more of a sense of who Bandette is and what she's about than many comics manage with their acres of exposition. It's only thirteen pages of story, but it's also only 99c, so by my calculation that's a still cheaper page rate than any comic from the major publishers, and to be honest there's about as much story as a typical DC or Marvel anyway. And it's prettier. Plus it's 99c. Who can't afford 99c to try out an excellent new comic? Currently only available digitally from Comixology, but for those who are technologically deprived I have a suspect that it will turn up in trade paperback when it's finished.